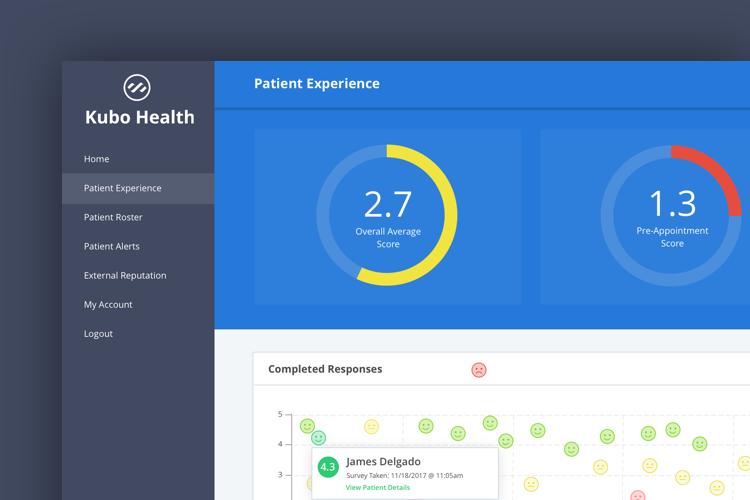 Kubo Health helps healthcare providers collect and analyze patient sentiment survey data to monitor and improve their performance. Most healthcare providers currently have no access to data surrounding a patient’s feelings about their experience. This not only impacts their external ratings (Google, Facebook, Yelp, etc. ), but also patient churn and the facility’s ability to know where to invest to improve. 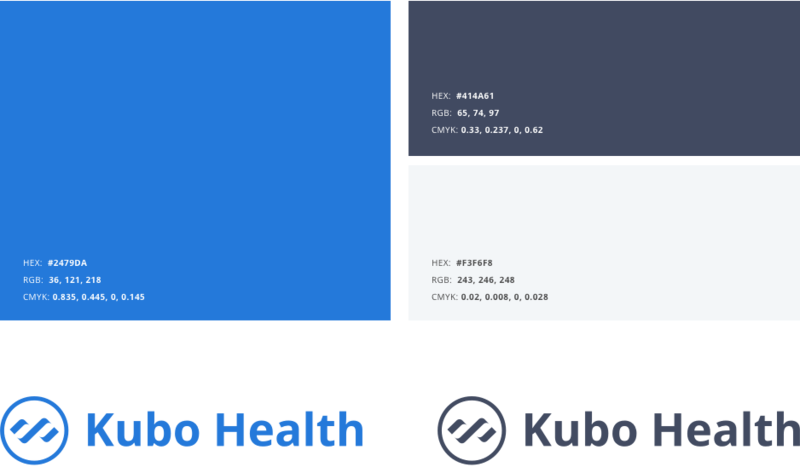 Kubo Health initially planned to launch with a suite of 3 core products tackling 3 different operational problem areas in the healthcare provider space (reimbursement, discharge, re-admittance). 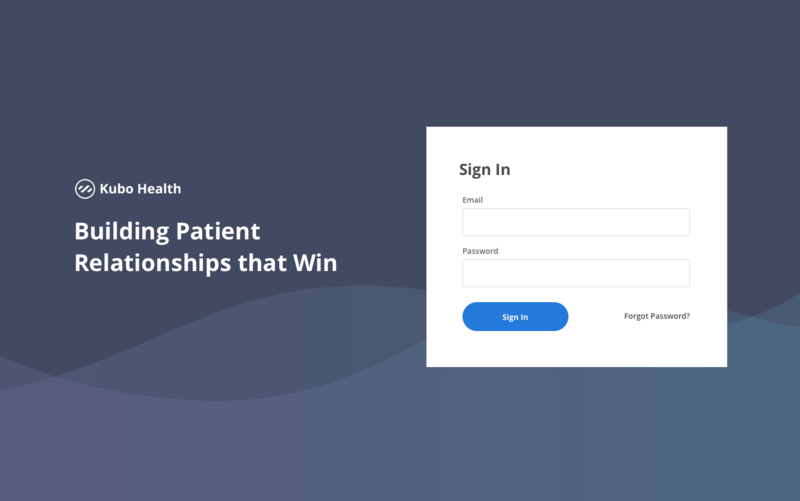 However, after conducting a series of user interviews with providers, it became apparent that the most impactful would be a simple, yet powerful way to measure patient sentiment. With a company mission of improving patient experience, Kubo Health’s brand had to reflect those ideals with a friendly and approachable visual style. Typographically we chose a font that was highly legible, yet modern and welcoming. The color palette consists of shades of blue to evoke stability and trust. 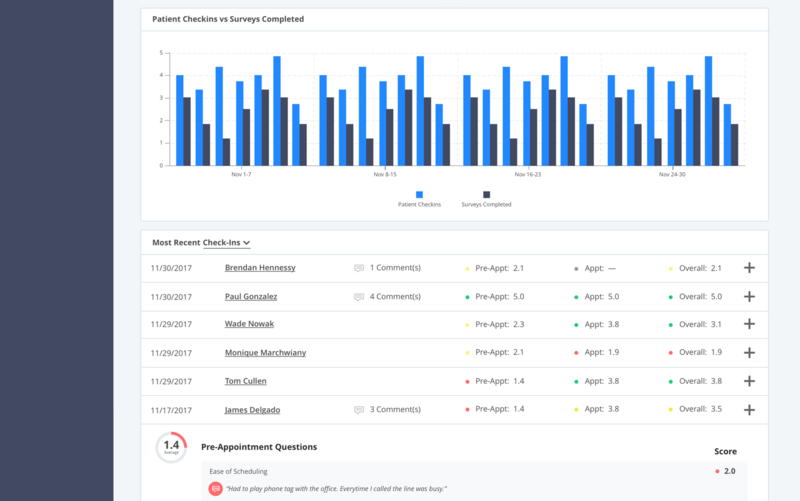 In the admin dashboards we use green, yellow, and red to communicate results based on score, making it it easy for providers to digest information at a glance. 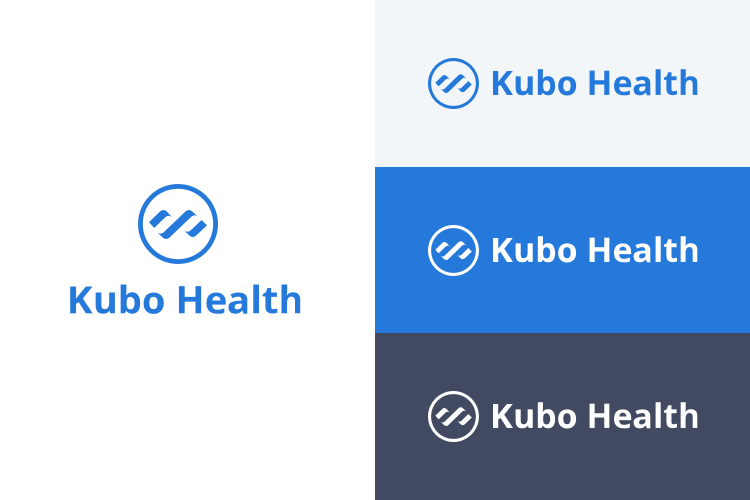 The logo combines abstracted DNA iconography shaped as an infinity symbol to illustrate the continuous value Kubo can provide both patients and providers. 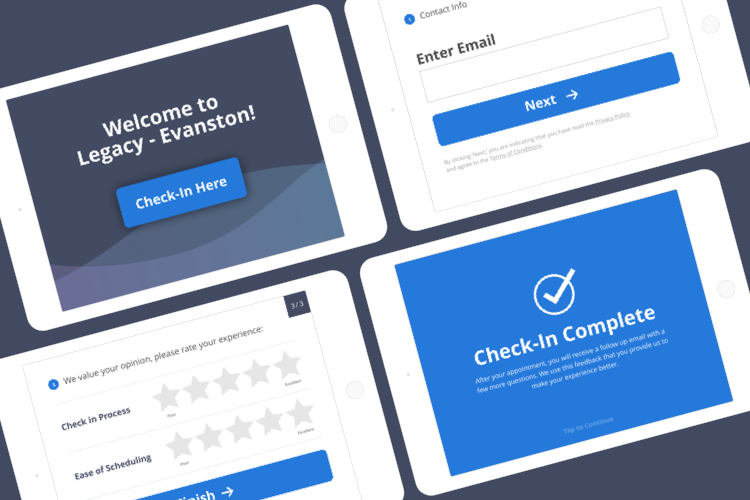 We iterated through several versions of the survey taking experience since it’s a critical feature of the application. The entire survey is optimized for tablet, with careful consideration to button and font size due to the elderly population of many patients. The home screen animation we designed has subtle waves that create a calming feeling and evoke visual interest to attract patients towards the tablet kiosk during appointment check in. The survey completes with another animation to give the patient a sense of accomplishment for successfully checking in. As for the provider side of the application, we show several graphs and metrics to summarize data. 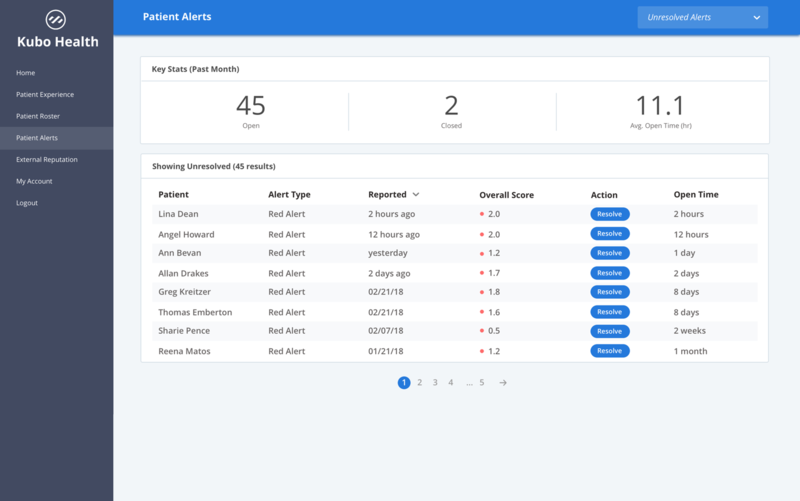 And as we know doctors live busy lives, so we also provide styled weekly snapshot report emails to ensure doctors get an overview of how their practice is doing without requiring a login into the platform. 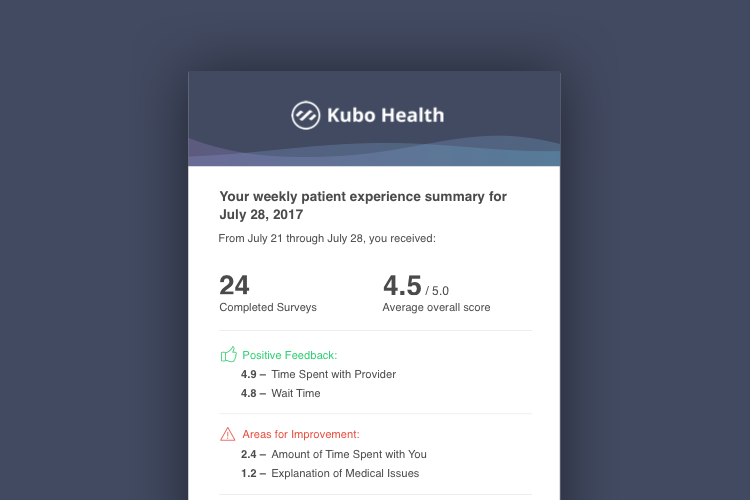 Automatically schedule surveys to go out to patients at home or allow them to take onsite on a Kubo iPad. Understand facility performance, such as areas in which patients are satisfied as well as where they see room for improvement. 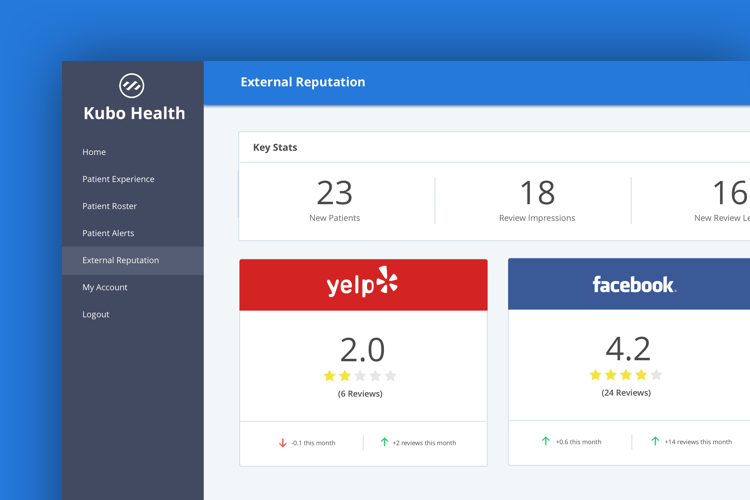 Monitor trends and changes from every review sites like Facebook and Yelp, and systematically drive positive reviews from the best patients to improve a provider’s online reputation. Providers receive an email with high level stats from the past week. This summary also shows changes and trends from the previous week. Easily search and find patients so you can drill into profiles to understand their care experience over time. Architecture in place to make the transition to a fully HIPAA compliant application easy. 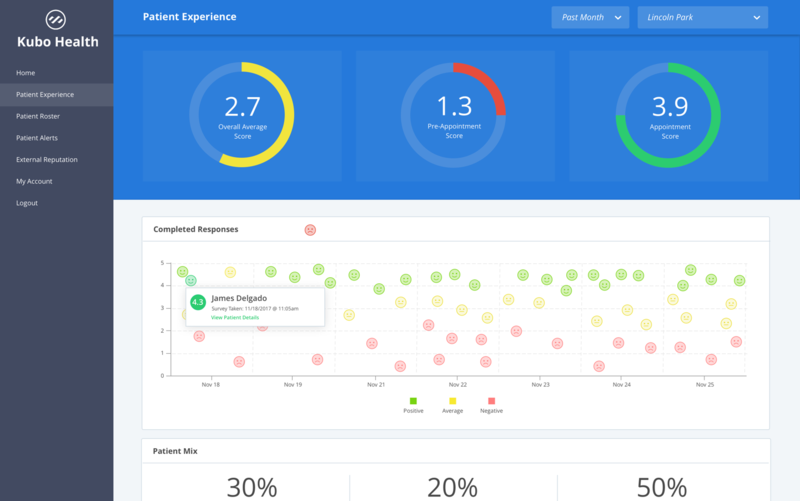 As we see more and more surveys come in through the app, we are able to analyze that data and see additional ways providers can help improve their patient’s experience. 1000 patients on the system with surveys reported. Servicing outpatient clinics in chiropractor, dermatology, OBGYN.